Girvin doesn’t check all the boxes. His Risen Star (G2) and TwinSpires.com Louisiana Derby (G2) performances were not overwhelming, yielding solid-but-unspectacular BRIS Speed ratings of 98 and 99. And he’s still relatively inexperienced with four career starts; only three previous Kentucky Derby winners were making their fifth career outing. But all Girvin does is win, though, at least when it comes to dirt races. The Joe Sharp-trained colt is unbeaten from three attempts on the main track at Fair Grounds, sustaining his lone setback when finishing a close second in a February turf stakes. He gamely broke his maiden when making his first career start in mid-December, prevailing by a neck. In his initial appearance in a Kentucky Derby qualifier, Girvin rallied to win the 1 1/16-mile Risen Star by two lengths. He overcame a wide trip in the 1 1/8-mile Louisiana Derby to score comfortably by 1 ¼ lengths as the 6-5 favorite. 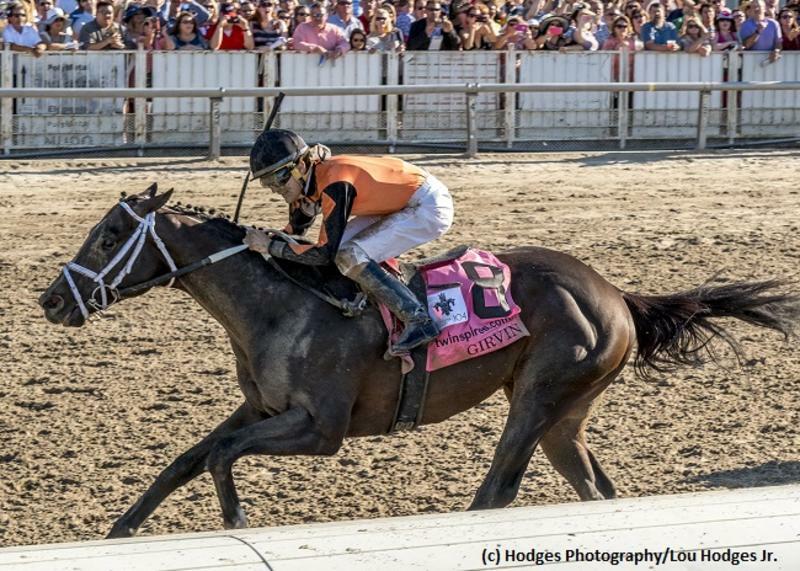 People will knock the competition and the son of Tale of Ekati appeared to be getting a little weary late in the Louisiana Derby, drifting in and switching back to the wrong lead late. Those criticisms could prove valid on Kentucky Derby Day. But Girvin is still developing and lightly-raced horses can improve significantly at this stage of their careers. Girvin needs to keep progressing to offer a serious challenge at Churchill Downs on May 6. But that scenario remains a possibility and the hard-trying colt will bring a winning attitude to the Kentucky Derby starting gate.